“tuck – feer”) is one of the most fearsome words in the Islamic lexicon. and from Peshawar to Paris. narrative of denial and deniability that allows the militancy to thrive. ways is worse than being an infidel. Muslims only be either militants or hypocrites? Is there no other alternative? reinterpretation, which has to be the first step on the path to reformation. to be allowed to make individual decisions with regard to their faith and live! not something for the State to legislate or vigilantes to enforce. of Islam, Muslims were far less inhibited about practical reinterpretation. 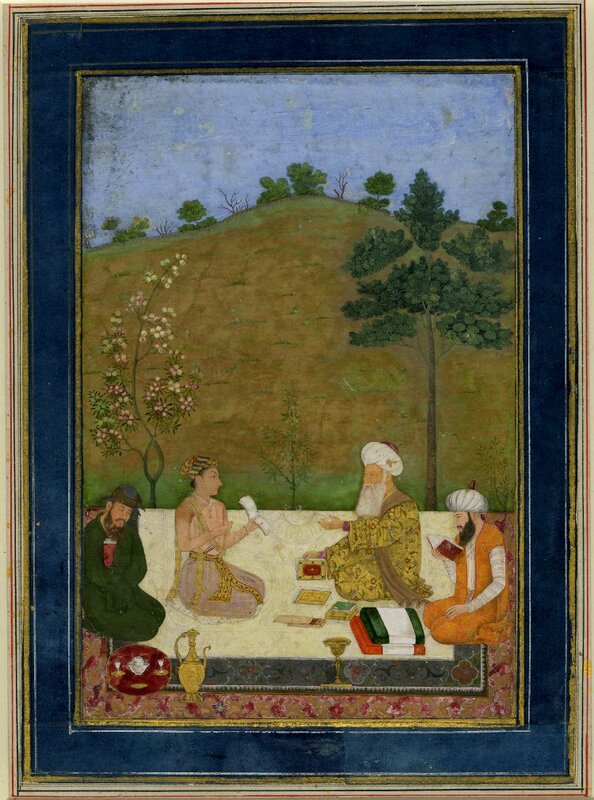 Dara Shikoh with three sages (Ascribed to Dal Chand India, Mughal scool, c.
All this laid the theoretical framework for today’s trans-national militancy. from India to Morocco, but remained largely without political or economic power. too well-known – and painful – to repeat. for a militant, ahistoric ideology. Obscurantism? yes; militancy? no. with increasingly literalist attitudes gaining strength for political reasons. Previous PostPrevious What is wrong with the National Front? Next PostNext Is Showering a white people thing?